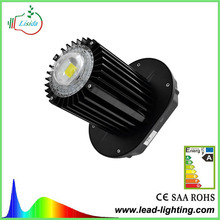 The Features of our LED high bay light LED high bay light Adopting Epistar / Bridgelux integrated Chip as light source with high lighting efficiency, high CRI, low light degradation. 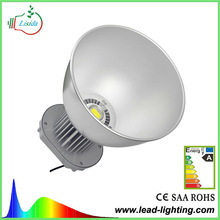 LED high bay light is designed for used in warehouse,mine,factory etc. 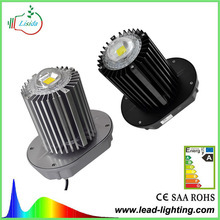 The high bay LED lights use super bright white LED source, the outer casing is made of aluminum alloy, and the lamp is with optional efficient lens. 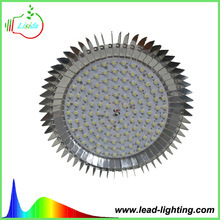 LED high bay lights use copper and aluminum alloy heat conduction strips. 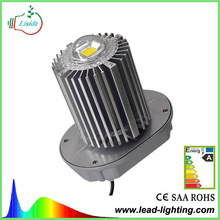 High brightness COB Led Chip as light source，low voltage constant current drive. Made by high pure Aluminum alloy ,static electricity spraying finish on the surface,constant temperature solidity,high adhesive force,waterproof,dustproof and fresh structure. Perfect shock-proof and good heat dissipation, simple appearance. 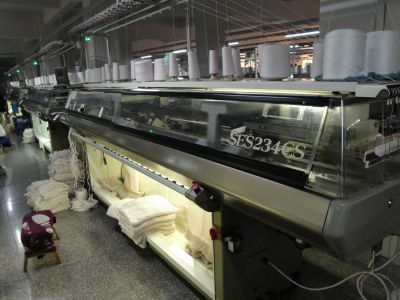 Hanging installation type,easy to install.